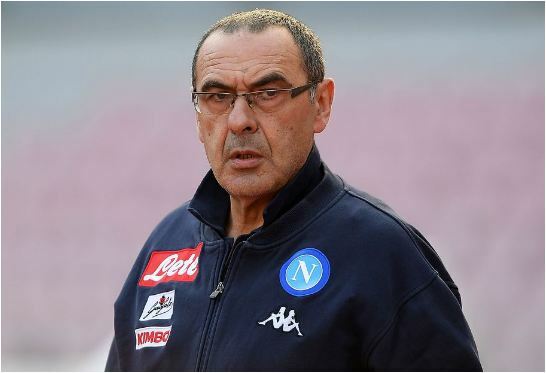 Chelsea manager, Maurizio Sarri has said challenging for the Premier League remains a step too far for his team, despite their 100% record in the opening weeks of the 2018/2019 season. Sarri arrived at the Stamford Bridge in July and has hit the ground running, winning all four of their league matches prior to the international break. Only Liverpool and Watford have matched Chelsea’s impressive start, with champions Manchester City two points behind having drawn with Wolves last month. But the Italian does not see his side battling for the title at the end of the season, instead thinking Liverpool and City will be the two teams vying for silverware. “We need another step to be at the same level. I think [it is too soon], but I hope not! “It is very difficult to recover 30 points in one season, very difficult. “We need to improve. My feeling is that we are not a very solid team in the defensive phase, we need to improve and we can, my feeling during the training is that this team can improve,” he told a media conference on Friday.